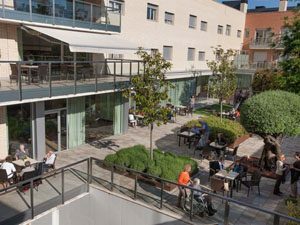 Devicare has signed a collaboration agreement with the Allegra Residential Complex in Sabadell, Barcelona in order to offer Lit-Control® and Tao-Control® to its residents. These two innovative services will allow users of the nursing home (161 beds), rental apartments (27 beds) and the day centre who suffer from long-term urological diseases, such as recurrent urinary tract infections, or who take oral anticoagulants, to self-monitor their health with the benefits that this entails. “Collaboration with Devicare will improve our care for residents, while allowing them to play a more active role in their health, thus reducing their need for medical visits”, says Isaac Rubio, Director of Allegra. The company has been employing a strategy focused on person-centred care and active ageing since 2012. In the case of Lit-Control®, this first-in-class method consists of a medical device and dietary supplements that periodically measures and helps balance urinary pH, which guarantees greater prevention, control and monitoring of the treatment. Tao-Control® measures INR or blood clotting levels of high-risk patients who take oral anticoagulants such as Sintrom® or Aldocumar®. Both are reliable, precise and practical methods that can be used after training provided by the company. Both methods also generate a confidential medical report that can be consulted by the patient’s physician. The elderly are a key population group in the treatment of chronic diseases, since it is estimated that 68.2% of people over the age of 65 in Spain suffer from at least one chronic disease, a percentage that increases to 77.8% of people over the age of 75, according to the National Health Survey in Spain 2011/2012 of the Ministry of Health. Furthermore, international studies indicate that self-management in anticoagulated patients can reduce mortality by up to 63% and associated complications by 50%. This is the first time that Devicare joins forces with a nursing home for the elderly, an experience that it wishes to export to state level once the results are analysed. “Collaboration with Allegra is a part of the program of strategic alliances that we have started this year and it is being very well-received”, comments Rosendo Garganta, founder and CEO of the company based in the Parc de Recerca of the UAB (Autonomous University of Barcelona).